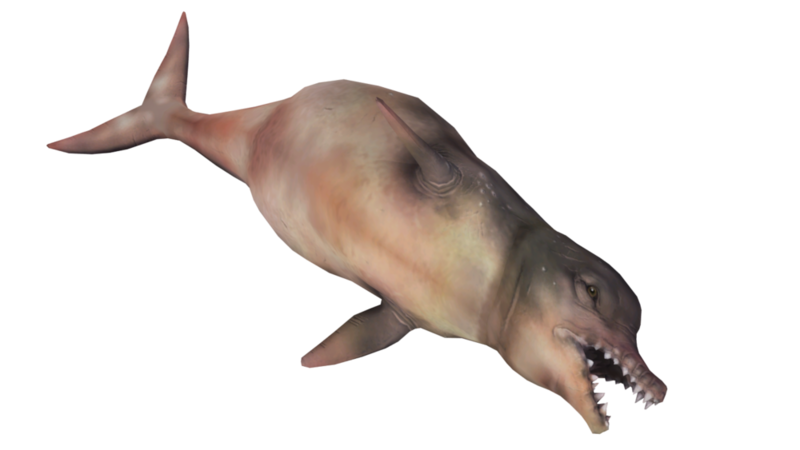 The corpses of mutated dolphins can be found on the coastline in Fallout 4. No information about what these creatures might have been like is available—the statblock and Knowledge here are purely speculative. Hold Breath. The rad-dolphin can hold its breath for 20 minutes. Slam. Melee weapon attack: +5 to hit, reach 5 ft., one target. Hit: 10 (2d6 + 3) bludgeoning damage.